Where Are Australia's Biggest Casino Renovations? Home » Answers to Common Questions » Where Are Australia’s Biggest Casino Renovations? Where Are Australia’s Biggest Casino Renovations? Despite recently undergoing its biggest activity plunge in four years, Austria’s construction industry is still booming. When examining the statistics, it’s easy to see why this industry is so resilient. Fueled by overseas migration and new childbirths, the Australian population is increasing by 1.6% each year. This growing demand for space is causing the amount of construction work to rise 8% each year. Unsurprisingly, this has created a truly massive industry. Clocking in at $134.2 billion, construction comprises 8% of Australia’s GDP and is the third biggest employer after healthcare and retail. This success directly translates to casinos, since it allows some stunning renovations. This year Australia’s construction industry is taking on some truly impressive projects, and casino renovations are stealing the show. While Crown Resorts’ $2 billion plan to build Australia’s tallest tower in Melbourne has stalled, other renovations have already started. The impact of these plans will echo throughout the country, since they further open Australia up to tourism. These projects embody the country’s resilience, since they are proceeding despite the industry’s hardship. By continuing to showcase our casinos’ potential, they will further cement Australia’s place as a global leader. To truly understand where the industry is heading, examining the biggest casino renovations is essential. Due to their size, these projects have to overcome a surprising amount of hurdles. From development permits to funding, plenty of factors can derail even the most anticipated project. For this reason, we compiled a list of the most exciting Australian casino projects in 2019. These renovations are poised to modernize some of our most treasured casinos, so don’t hesitate to visit them when they are completed! These innovations will add a luxurious touch to the Adelaide Casino. Casino Renovation #2: Adelaide Casino ($300 million) – After overcoming multiple obstacles, Adelaide Casino is undergoing a welcome makeover. The renovation will address multiple areas of the casino, including adding a rooftop bar, new gaming areas and a luxury hotel. Even though this bold expansion project was scheduled to start in 2016, it didn’t commence until last June. After promising to put systems in place to identify and restrict access to problem gamblers, construction finally broke ground. Now that SkyCity Entertainment Group has the blessings of the Independent Gaming Authority and State Government, they aim to complete the project in 2020. 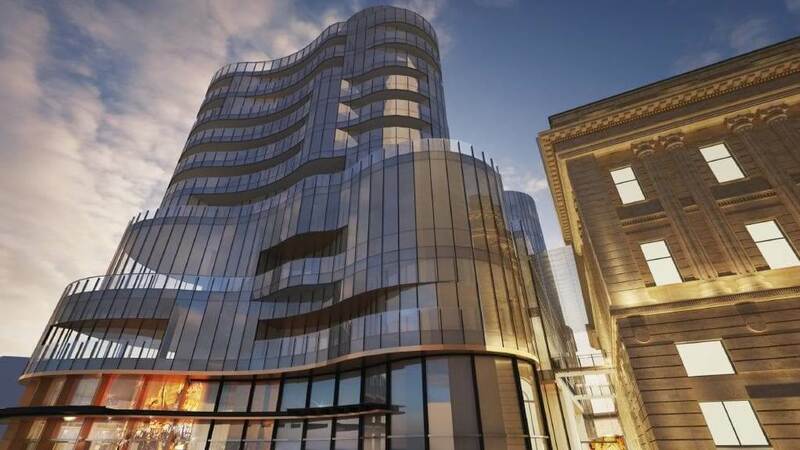 This $300 million investment is a strategic gamble by SkyCity, but it’s set to pay off. Both the construction and completed amenities will make a noticeable income on the local economy. SkyCity estimates that the construction alone will employ 1,000 people, while the completed area will add 800 permanent jobs. The addition of the luxury hotel will further impact national and international tourism in Southern Australia by attracting top-tier clients. The stakes are high, so don’t miss out on the added amenities when this project is completed! 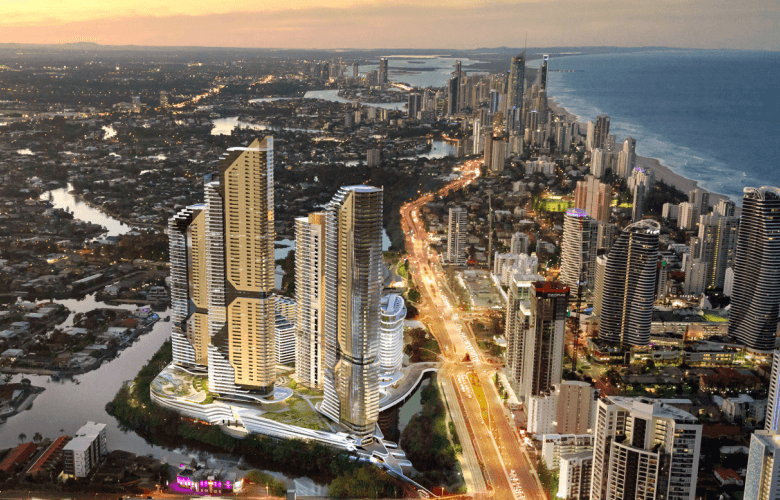 These additions will transform the Gold Coast’s skyline. Casino Renovation #1: The Star Gold Coast ($400 million) – While the Star underwent an impressive $53 million renovation in 2006, this current project steals the show. Star Entertainment Group created a joint venture with their Hong Kong-based partners to construct a 53-story hotel and tower. The Star residences high-rise will be home to Australia’s first Dorsett Hotel. On top of creating 316 hotel rooms and 423 residential apartments, the tower will also feature restaurants, bars and resort facilities. It’s expected to complete in 2022 and generate 1,800 jobs, which is yet another victory for the Gold Coast. What are the three sports themed star-series pokies to play from Microgaming? Where can I play the pokies in Melbourne? What is the Big Wheel at Crown Casino Melbourne all about?